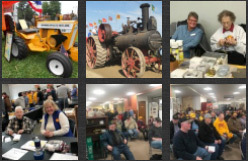 The Market Place is provided as a way to market your MM related services to our growing family of collectors and enthusiasts who value Minneapolis-Moline and all things related. You may advertise here for a $25 annual fee, due by January 1 each year. 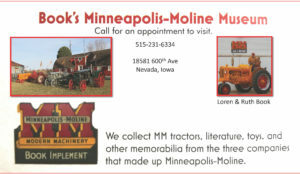 How to List Your Services: Send a check for $25, made out to MMCI, and your business card to MMCI, 18581 600th Ave, Nevada, IA 50201. Since we are launching the Mark Place midyear, your first payment will be for 2019 and all of 2020. MMCI hopes this Market Place will be a convenient way to find services, products, and information that benefits MM enthusiasts. 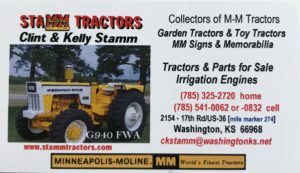 Please note:MMCI does not necessarily recommend or endorse the services represented on this page. 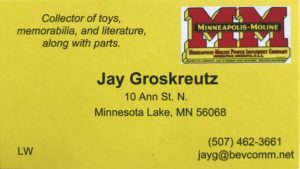 Placement of business cards is random. Click each card to enlarge.